The B.A.G., a part of the Tiffany Anisette collection originally launched in the U.S., is set to take off internationally. This stylish laptop bag on wheels compliments the business wardrobe of any professional woman. Whether you are in China, France or the U.S. , this innovative bag promises to fulfill the needs of the Business Active Girl (B.A.G). It is definitely a business travel essential and whether you are just going to work or traveling overnight for business, you will find this bag to be extremely versatile. With compartments for laptops, cell phones, and every working woman’s must haves, this bag can easily be transported without causing neck, back or shoulder strain. Business travel is an essential part of so many of our lives. It is often vital that you arrive at the location looking fresh and professional but travelling can be hard work and you often turn up feeling exhausted. Here are some essentials to help you arrive feeling stylish and stay that way through out your stay. Pack a combination of clothes in neutral colours these will be the most versatile and easy to mix and match as you need. Take a slightly more casual pair of trousers or a skirt to wear in the evening if appropriate. Wear a really comfortable pair of shoes for travelling and take a pair with a slightly higher heel to change into once you arrive. Choose clothes that so not crease easily. Wool mix is usually a good choice or a wool crepe. Take a selection of cotton blouses in different colours and patterns plus some accessories so that you can create different outfits for each day of your stay. Take a pair of more casual trousers or a skirt for the evening if appropriate. Choose a really comfortable pair of flat shoes for traveling and take a second pair with a slightly higher heel to change into when you arrive. Invest in miniature versions of your favourite cosmetics or decant some into smaller bottles. Take something with you that makes you feel at home. Perhaps a scented candle or some photographs. Drink plenty of water and if possible take the opportunity to relax whilst travelling with a good book or magazine. Don’t strain your back or shoulders by carrying a heavy bag. You can pack everything that you need for a short trip in wheeled bag which you can carry on the plane. If you need to take a laptop with you invest in a stylish laptop handbag on wheels. 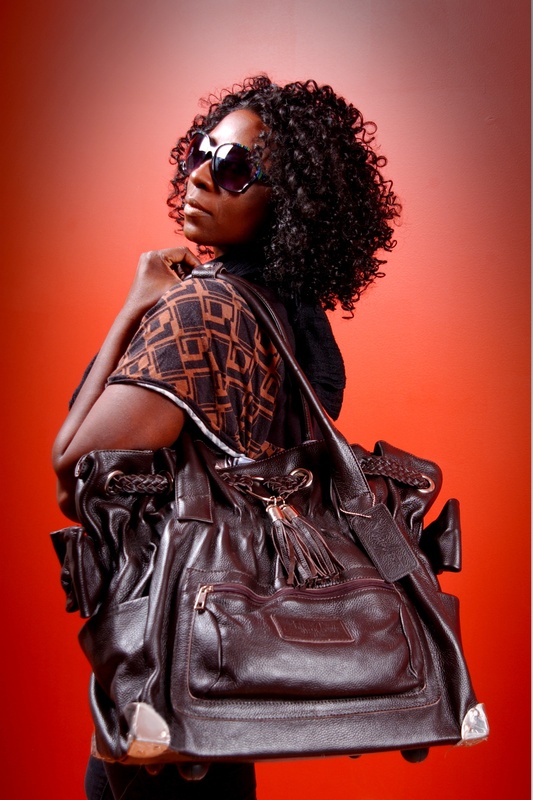 The Tiffany Anisette B.A.G (Business Active Girl) is a large and stylish multi purpose leather handbag on wheels. It is perfect for the business traveller who wants to arrive looking stylish and without the aches and strains caused by carrying a heavy bag. For further information visit www.tiffanyanisette.com. The B.A.G. looks like a handbag but is large enough to comfortably fit up to a 17 inch laptop, and has wheels and an extendable handle allowing it to be easily transported without damage or strain to the back, neck or shoulders. “In today’s world, women wear many hats. We care for our children, our husbands, our jobs, and our social lives. Whether we admit it or not, sometimes life can become overwhelming,” said Anisette, a wife and mother of two boys. For female lawyers or professionals who need to carry lots of paperwork and files around on a daily basis, there is a new very stylish alternative to the traditional wheeled litigation bag, lawyer case or briefcase. Up until now most solutions for transporting business essentials, laptops, files and paperwork have been masculine and lacking in style. The Tiffany Anisette B.A.G is big enough to comfortably accommodate paper work, files, a laptop and more. 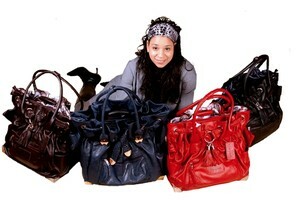 It also doubles as a very stylish weekender bag or oversized handbag. It has an extendable handle and wheels so that it can easily and comfortably be pulled along without causing injury or discomfort to back, neck, shoulders or joints. The B.A.G is a made from finest Italian leather and looks professional and stylish for court, client meetings, overnight stays or a day on the office. 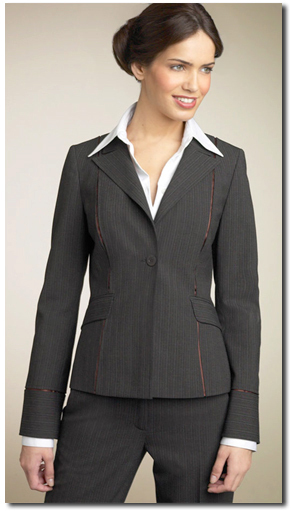 It perfectly compliments a suit or business wear with its elegant details and hardware. 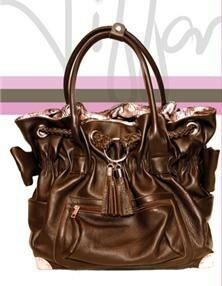 It is the ideal solution for the busy women who wants to combine style, professionalism, comfort and practicality.